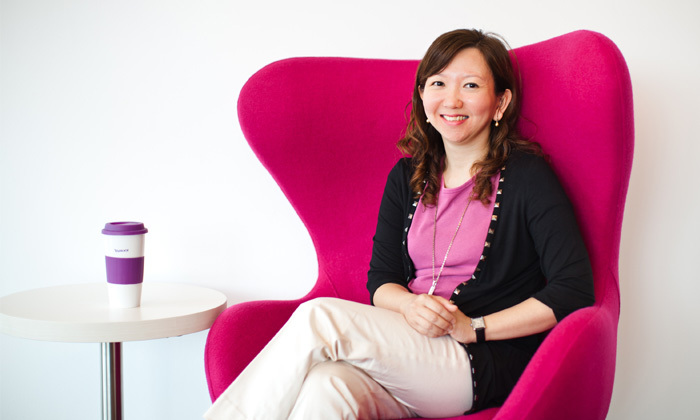 Jessie Lim, HR director for Yahoo Asia Pacific, talks about the biggest challenges in recruiting for the new media sector. Our HR team operates across Southeast Asia, therefore possessing a finely attuned cultural awareness mindset is paramount. We know that no issue or situation is the same, so listening with an open heart and mind takes precedence. Talent is talent, no matter the color of your passport, and because we’re a global company, it’s imperative that we have a diverse and inclusive environment as this fosters a variety of backgrounds, experiences and capabilities, serving as an incubator for new ideas and innovation within the organisation. Yahoo wants to create deep personal digital experiences that keep more than half a billion people connected across devices and around the globe. The key challenge in recruiting talent in this new digital space is the limited talent pool that understands how to create a personal experience for the user. We want to hire people who are deeply passionate about the internet, how it works and how it affects how you work, play, eat and breathe. Due to our diverse talent capital across Southeast Asia, we’re seeing an increased demand for greater flexibility at the workplace, upward/lateral mobility, leadership opportunities and a genuinely fun and innovative environment. Our employees know what they want and our job is to facilitate that development and align their energies to the goals, mission and values of the organisation. Often, it’s the non-monetary factors that provide the extra touch. It’s important that we take into consideration cultural nuances and local practices of our international colleagues when approaching resolutions of various issues. Lastly, it truly helps that the HR team consists of different nationalities and experiences, as that helps greatly in decision-making. We leverage on each other’s strengths and backgrounds in a collective setting. Empowerment within the organisation is key; at Yahoo, every employee takes ownership of their careers by articulating clearly what they want and having the full understanding that their leadership team supports such investment for greater growth within the company.